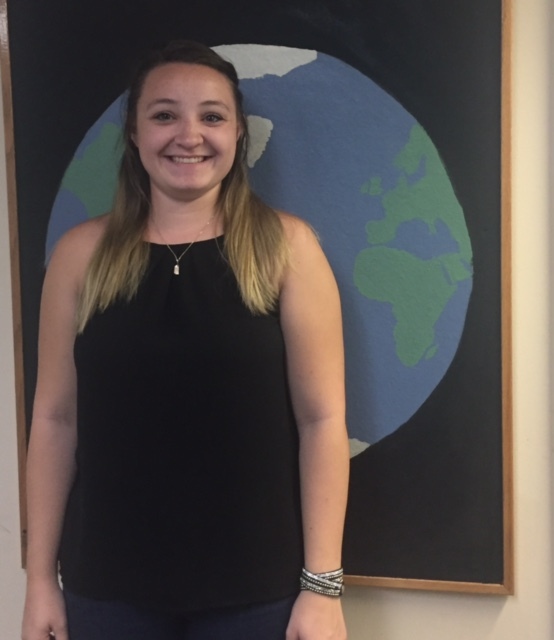 My name is Isabella Scannell and I am currently a senior at Endicott College studying Hospitality Management. I grew up in Melrose, MA and I went to Catholic School my entire life. I started to work in the service industry in high school and I really enjoyed it. I originally applied for Endicott’s nursing program but when those plans did not pan out, I changed my focus from helping people with their physical health to helping people have a memorable experience and enjoy themselves. I always enjoyed planning fun activities and was able to gain experience doing so when I started in the New England Aquarium event department. I loved getting to plan events for a single organization, especially ones with a great cause, and hope to one day being doing something with another company, like New England Aquarium or Change is Simple. After first hearing about Change is Simple in April of 2017 while looking for my internship, I was inspired by their approach of educating students and sustainability and the environment. When I began my internship in September, I jumped right into working on the Annual Fashion of Change Fundraiser that was planned for the end of the month. The fundraiser, which happens annually, is a cocktail party that provides guests with a highlight of the program's successes and revisits why what they do is critical. The money raised at this event goes directly to supporting the children, classrooms and schools, who receive Change is Simple programming. Change is Simple is able to educate over 6,000 kids annually with the support of this event. My time so far at Change is Simple has showed me how much help our world needs, how we are all responsible for creating that change and what actions I can do to work towards those changes. During my time here, I have mainly been working with Lauren who is one of the organization's co-directors. I have helped work on present and future events for Change is Simple, among a variety of other event and fundraising related projects. We have some really cool ideas coming up for spring events so stay tuned! My internship here hasn’t just been about event planning, I have also been able to visit a couple classrooms during CiS workshops. Once I was actually in the classroom, I got to see just how hands on lessons are and how excited kids get about Change is Simple! Seeing CiS in action, compared to planning events behind the scenes really helped me understand how dynamic the organization is. I hope that even after I complete my internship at Change is Simple, I can continue to change things in my everyday life to benefit the planet, just how the children they teach are continuously making changes. I have really enjoyed the time that I have spent here at Change is Simple. I have learned so much from Change is Simple and from the people who work there. I love the fun atmosphere that I have worked in, I have learned a lot about my impact and what I can do to change. Before working here, I had worked at nonprofits before but I never knew the time and effort it took to really make a non profit work. My perspective on the world has changed forever. Through the Change is Simple lessons I have learned to save water by taking shorter showers, use reusable bags instead of plastic, compost whatever you can, how much energy certain things use and how to help conserve it, and even how we can help raise awareness for certain endangered animals. And I can’t wait to come back and help out!